in the vast ocean of picture perfect dream travel blogs. Mine is different. Funny different. Strange different. And I hope it brightens your day while providing you with some great travel info and deals. By the way, this site uses Australian English spelling since I’m from the City of Bayside, Melbourne. Do you love to travel? Or do you lurve to travel? Since you’re visiting a travel blog, you probably lurve to travel like me. Lurve of travelling is a romantic sort of love, isn’t it? We get butterflies from the moment we ponder the possibility of getting away. The wings of desire flutter, the butterflies go crazy with the fantasy, and then we fall head over heels in lurve when we decide that YES, we’re going on a holiday! Whoo hoo! Travelling fills us with energy, even while we’re just planning the trip, packing our clothes, and heading off for our next adventure.When we arrive at our destination we truly feel the powerful and uplifting effects of travel because it reawakens us to spontaneity, serendipity, and absorbing the present in a heightened state. We’re out of our comfort zone and we stop acting on auto pilot (pardon the travel pun) because we need to process our new surroundings quickly and there is so much new stimuli. We even take a renewed interest in strangers and little details grab our attention. Travelling allows us to live in a world parallel to our everyday one and learn how other people and societies approach life. You get paradigm shifts when you travel. Not only that, travelling builds our character and strengthens our spirit. We’re often faced with unfamiliar situations and must make out-of-the-ordinary decisions about what to do, where to go, and how to get the most out of our day. Danae hanging around on the Hollybank Treetops Adventure, Underwood (near Launceston), Tasmania. I look calm, I know, but it’s all a facade. BTW – This ended up with me having to zipline 75km per hour over a ravine. Thanks very much to hubby and sons for that wonderful surprise. N.B. : After all this, I’m still afraid of heights! Highly recommend the experience, though! Some people might feel that travelling isn’t worth the cost, effort, or risk, but after you travel you realise that the experience stays deep inside you, adds extra substance to your life’s story, and has helped you to grow. You know the intrinsic value of new travel adventures and that’s why I’m excited to connect with you through our shared lurve of travel. the WILD CARD called WHAT THE..?! Travel Reviews. These compelling reviews relay the weird and improbable incidents that my husband Jim and I have experienced by chance while on holidays. I like to call them WHAT THE..?!s . You can let me know how strange you think they are by voting in the WHAT THE..?! blog polls. What sparked WHAT THE..?! Travel Reviews? 1) The WHAT THE..?! TV segment on the Rove Live show about weird stuff that viewers sent in to him, such as strange community signs, ads, and a slice of bread that came out of the loaf with a very happy face. 2) The Marvel Comics WHAT THE..?! series which parodied the Marvel Universe and was billed as “The Marvel mag of mirth and mayhem“. Similarly, the WHAT THE..?! encounters that my husband Jim and I have experienced on our trips have parodied (what I consider to be) “normal” events, invoking mirth and mayhem. 3) Our little getaway to Hobart Tasmania in early January 2018, which was the catalyst for WHAT THE..?! Travel Reviews. The trip was rife with WHAT THE..?! moments. Upon reflection, I realised that the tingling thread of WHAT THE..?! was also running through our past few trips to Darwin, Vanuatu, and Greece. Find out about my glass of sparkling wine that glided 45cm across the table by itself at Faro Tapas Bar, verified by MONA’s Communications Team! We’ve experienced strange situations, occurrences, human behaviour, and bits of info at relatively normal holiday travel destinations. The WHAT THE..? !s have caught us completely by surprise and have left lasting impressions. Sometimes they’re blatant, sometimes more obscure, but they always appear out of nowhere. I adore WHAT THE..?!s. That’s why this travel blog features WHAT THE..?! Travel Reviews. I’m compelled to share this weird stuff with you along with some great offbeat, handy travel info, genuine recommendations and top travel-related deals. Have fun voting in the WHAT THE..?! Polls. I look forward to finding out whether you rate our WHAT THE..? !’s as Wow/Wonderful/Wacky/Worrying or a Whateva. In fact, I’d like to know if you think it’s me who’s strange for classifying this stuff as weee-ird. Is Danae the weird one? Donning the MACq 01 Hotel robe.Old-style map of Hobart hinterland in the hood. You can buy a robe for $130AUD. They’re very large and heavy – great for Winter – and have a touch of Assassins Creed and Cobra about them. trustworthy advertising sites such as Jet Radar, Cruise Away, Aussie House Swap (domestic and international swaps), Travel Payouts, Amazon Australia, Hotellook, and booking.com, in the event that you like what you see and wish to explore/view information. Links lead to e.g. photos, prices, descriptions, and/or reviews. Minato, Tokyo, Japan 2017 – Clean, modern, very friendly staff. Language barrier not an issue. Ikebukuro, Tokyo, Japan 2017 – Top location near the Ikebukuro Station. Comfortable, clean, roomy, and enjoyable. Osaka, Japan 2017 – Small room, inexpensive, nothing amazing, but that’s what was we were looking for. Very good value. Preveza, Greece 2016 (far west, near Lefkada) – Can’t say enough good things about Dioni Boutique Hotel. It was perfect for us. My husband, Jim, kept congratulating me on my choice of accommodation. 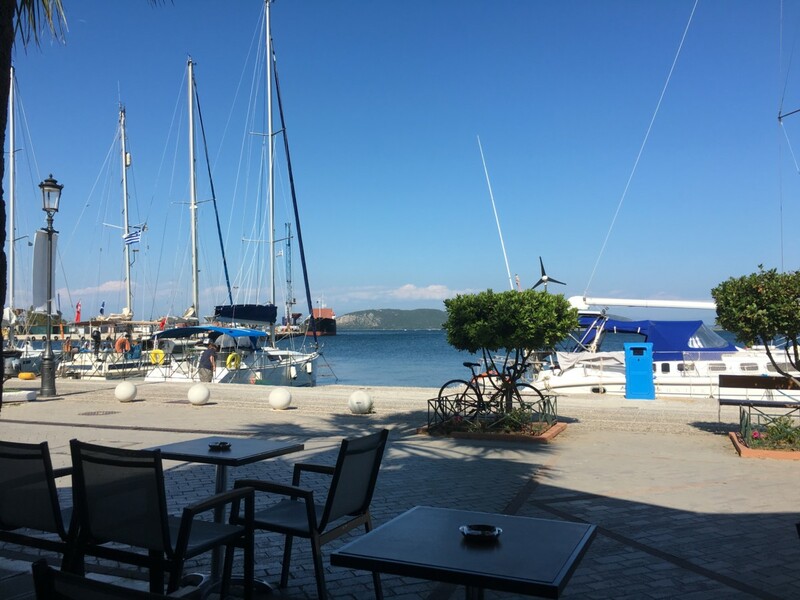 Amazing staff, gorgeous hotel, ATM within 10m, walking distance to the waterfront, taverns, shops, cafes, Satan’s Bazaar, and the foreshore further up. Buffet breakfasts on the rooftop with views. My only quibble was the noise from the dogs that lived on a neighbouring property, but there are quieter rooms available on the other side. Bondi Junction, New South Wales, Australia 2015 – Classy, clean, luxurious, spacious apartment. Central location. So much on offer within a short walk. We loved it and had fun at the cook-your-own authentic Korean BBQ restaurant around the corner. Daylesford, Victoria, Australia 2015 – The room was affordable, modest, clean, and comfortable. Lovely surrounding area and great location, just a block’s walk to the town’s main street. Eden, New South Wales, Australia 2015 – We really enjoyed our stay as a family at this motel. The room was large, in great condition, and comfortable for everyone. We had a room upstairs with an ocean view from our window. Friendly, family environment. Top location within walking distance to main streets, incl. pubs, restaurants etc. If you’d like to see the actual room we stayed in, click here and find the room with the red door. Wagga Wagga, New South Wales, Australia 2015 – Modern, clean, comfortable room. Central location. Enjoyable stay. Therefore, I can personally recommend using booking.com. Stay in the WHAT THE..?! loop! Subscribe by email for future blog story notifications and follow me on Facebook, Instagram and/or LinkedIn. Also, you can visit my author website here. Yes, more genuine travel recommendations, great travel info, and top travel deals coming your way! Along with WHAT THE..?! Travel Reviews and WHAT THE..?! Polls. P.S. : So far, the blog photos/videos were taken before the travel blog idea came to mind, i.e. were natural and not blog conscious. Also, there were several WHAT THE..?! moments that I should’ve captured (e.g. Boobarella on the MR-1 Mona Roma Ferry!) Anyway, will be more WHAT THE..?! photo conscious in future!